Citizens Project has been following the dangerous extremism on the Texas Board of Education over the last several months. 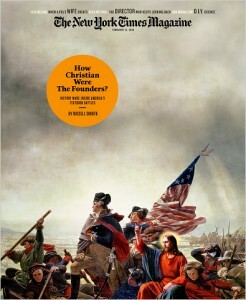 It exploded in the national press yesterday with this cover story in The New York Times Magazine. Citizens Project will keep monitoring local schools to prevent this from happening here. Please let us know if you hear of any inappropriate politicizing we should be aware of. Thanks to our friends at the Texas Freedom Network for fighting the Texas takeover. No Replies to "Religious Right Offensive on Public Education in Texas"